The elopement package includes the location for your ceremony, the officiate, the floral arrangements, the cake, the toast, the accommodations, a romantic turn-down service, and a gourmet breakfast each morning with complimentary silver tray service, if you desire breakfast in your room. Your ceremony may take place in the double parlor, music room, veranda, or garden courtyard. The ceremony must begin between 12:00 pm and 2:30 pm. If you prefer an evening ceremony, the music room, veranda and courtyard are available between 6:00pm and 7:30 pm. These specific times are set to ensure the best chance that our other guests arriving or departing will not interrupt your ceremony. An officiate will be arranged to perform your ceremony. Traditional, religious, or non-traditional ceremonies may be chosen. Please let us know if you plan to provide your own officiate. The bridal bouquet is a dozen roses in your color choice, with matching boutonniere for the groom. If you wish to make any changes or additions to your bouquet, we will contact the florist to discuss those, or arrange for you to discuss the details with the florist directly. If you have photos of what you have in mind, send them along! Any additions or changes may incur an additional cost, priced by our florist. A petite 8-inch wedding cake will be ordered to your preference from a selection of flavors and icing styles. Any changes or additions to this (i.e. two or more tiers, gluten-free, etc.) can be arranged through your elopement coordinator or the bakery directly. Any additions or changes may incur an additional cost, priced by our baker. A bottle of champagne is included along with two keepsake Kehoe House champagne flutes. These flutes are yours to take home to remember your wedding day at The Kehoe House. If you do not drink, we will provide a non-alcoholic beverage choice. The elopement package includes a two-night stay in one of our luxury king rooms. Each luxury king room has a king-sized bed, private bath and many have access to a private or shared balcony. Each morning, you will receive a gourmet breakfast. You may eat in our dining room, or have complimentary silver tray service in your room. Mimosas are available upon request! We serve wine and hors d'oeuvres in the afternoon from 5:00pm to 7:00pm and homemade dessert, coffee and port in the evening from 8:00pm to 10:00pm. In addition, your concierge will book any reservations you may require during your stay with us. To obtain a marriage license, contact the Chatham County Probate Court at 133 Montgomery Street. Phone: (912) 652-7277. Please note that the court hours are Monday-Friday, 8am-5pm. Vow Renewals are not required to get a new marriage license. 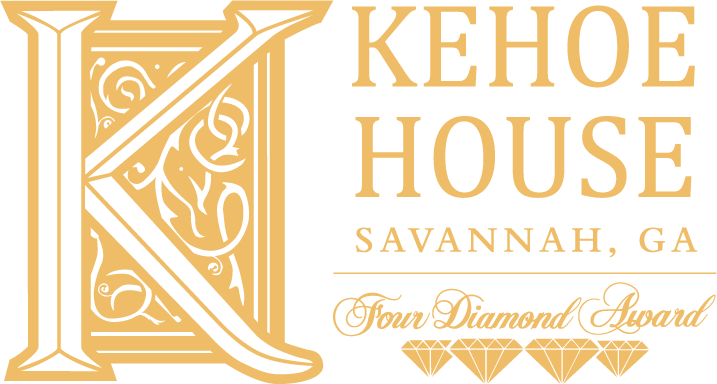 To get married in Columbia Square in front of The Kehoe House, you must contact Savannah's Leisure Services Bureau, Parks & Recreation at (912) 351-3837 to reserve the square. See www.SavannahGA.gov for policies and fees. · When can we arrive at the Kehoe House? Check-in is at 3:00pm. Should you arrive in Savannah earlier, feel free to stop by and see if we can accommodate an earlier check-in. It's possible but not guaranteed that we may be able to allow you to check in a little earlier if your room was not rented the night before. Please come see us when you arrive in town, and we will store your luggage, park your car and get you familiar with your home away from home! · May we have friends and family attend our ceremony? The Kehoe House welcomes up to six people, including the bride and groom, to participate in your special day. If you'd like to invite more attendees, guests in excess of six will incur a charge of $25 per person. Please be aware that there might be a cost of additional champagne or refreshments for a larger group. 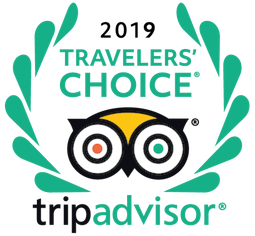 Please be mindful that our parlor, music room and veranda are not spacious enough to warmly embrace a large crowd, and that our Elopement Package is designed for intimate ceremonies. We do have a guest limit of 16 adults. · What about dinner after the ceremony? 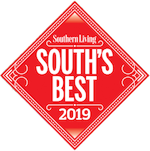 It would be our pleasure to make reservations for you at one of Savannah's many romantic restaurants. Please see the restaurant suggestions above and contact us to assist with your reservations. We'll make sure the restaurant knows it's your wedding day! Breakfast Can Be Served in Your Room at Your Request Between 8:00am and 10:00am. Delivery times must be reserved in advance the evening prior. 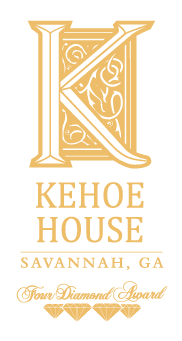 Below are three ceremony suggestions for your wedding service at The Kehoe House. Our ministers and officiates are happy to customize this text, but have offered these three choices as their most requested services. Please select one, and we will pass your selection on to the officiate. Dearly beloved, we are gathered here today in the presence of family and friends to celebrate the joining of this man and this woman in the unity of marriage. There are no obligations on earth sweeter or more tender than those you are about to assume. There are no vows more solemn than those you about to make. There is no human institution more sacred than that of the home you are about to form. True marriage is the holiest of all earthly relationships. The state of matrimony is based in this deep union of two person who seek to find completion in one another. ___________, will you take this woman, whose hands you hold, choosing her alone to be your wedded wife? Will you live with her in the state of true matrimony, meaning will you love her, comfort her, through good times and bad, in sickness and in health, honor her at all times, and be faithful to her? ____________, will you take this man, whose hands you hold, choosing him alone to be your wedded husband? Will you live with him in the state of true matrimony, meaning will you love him, comfort him, through good times and bad, in sickness and in health, honor him at all times, and be faithful to him? To love is to come together from the pathways of our past and then move forward… hand in hand… along the uncharted roads of our future, ready to risk, to dream, and to dare… And always believe that all things are possible with faith and love in God, and in each other. I, ______________, take you, ____________, to be my wife, to love and to cherish from this day forward. And I promise to always be there for you, as long as we both shall live. I, ______________, take you, ____________, to be my husband, to love and to cherish from this day forward. And I promise to always be there for you, as long as we both shall live. You have brought rings as a token of your sincerity, may I have them please? Bless O God these rings that each gives and receives and wears as a token of the covenant between them and God, and may they ever abide in your peace, living together in unity, in love, and in happiness, and with good purpose, doing your will. Amen. In as much as you, __________, and you, _____________, have consented together in the union of matrimony and you have pledged your faith each to the other in the presence of these witnesses. Now, by the authority vested in my by the State of Georgia, I now pronounce you Husband and Wife. Dearly beloved, we are gathered here today in the presence of family and friends to celebrate the joining of this man and this woman in the unity of marriage. There are no obligations on earth sweeter or tender than those you are about to assume. There are no vows more solemn than those you about to make. There is no human institution more sacred than that of the home you are about to form. True marriage is the holiest of all earthly relationships. The state of matrimony is based in this deep invisible union of two souls who seek to find completion in one another. __________, will you take this woman, whose hands you hold, choosing her alone to be your wedded wife? Will you live with her in the state of true matrimony? Will you love her, comfort her, through good times and bad, in sickness and in health, honor her at all times, and be faithful to her? __________, will you take this man, whose hands you hold, choosing him alone to be your wedded husband? Will you live with him in the state of true matrimony? Will you love him, comfort him, through good times and bad, in sickness and in health, honor him at all times, and be faithful to him? I __________, take you __________, to be my wife, to love and to cherish, from this day forward, and I promise to always be there for you, as long as we live. I __________, take you __________, to be my husband, to love and to cherish, from this day forward, and I promise to always be there for you, as long as we live. With this ring, I thee wed. Let it always be to us a symbol of our love. In as much as you __________ and you __________ have consented together in the union of matrimony and you have pledged your faith each to the other in the presence of these witnesses. Now, by the authority vested in my by the State of Georgia, I now pronounce you Husband and Wife. We are gathered here today in the presence of God and this company to join __________ and __________ in the bonds of sacred marriage. An institution by God ordered and by Christ endorsed and declared by the Holy Spirit to honor in the sight of all. In as much as we are here today to celebrate an institution given by God it is altogether fitting and proper that we impress our minds with the teaching of the Scripture as it regards this subject. In Matthew 19:4-6, Jesus, in quoting this passage warned, “What God has joined, let no one separate.” The union you are about to form is not imaginary or antiquated. It is as real as the God who instituted it and the Christ who endorsed it. It is to remain undissolved in this life even as the vows you make will affirm this. It is a new relationship which calls for the severance of other relationships in order to honor the marriage partner. Men and women never show more honor for one another than in the marriage relationship Godly fulfilled. At this time, we will ask you to make your vows to one another. Join right hands, please. Do you, __________, take this woman to be your lawful and wedded wife? Do you promise to love and cherish her in sickness and in health? To care for her above all others in prosperity and adversity and to cleave to her alone until death do you part? Do you, __________, take this man to be your lawful wedded husband? Do you promise to love and honor him above all others and in sickness and in health and prosperity and adversity and forsaking all others, cleave unto him until death do you part? Are there rings? 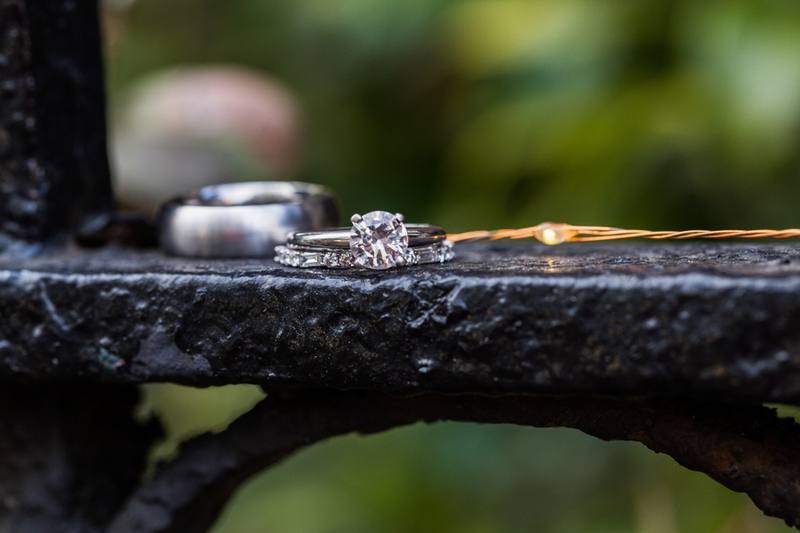 For generations, rings have been used as tokens of pledges made in good faith and as seals of sacred vows honorably declared. The circular nature of the ring symbolizes the eternal nature of the relationship which you have enjoined yourselves to, its precious metal, the preciousness of your devotion and love. It is a symbol of your pledge to faithfully discharge the duties of husband and wife to one another. With this ring, I thee wed and with all that I have, I give to you: my name, and my home, my heart and my hand, my life and my all, as long as we shall live. With this ring, I thee wed. I pledge to you the loyalty of my life, the love of my heart, and the devotion of my soul, and I promise to you, to be your faithful wife while together, we walk along life’s path. And now, by the authority vested in me by the State of Georgia, I pronounce you husband and wife. __________, you may kiss your bride. I am pleased to present to you, Mr. and Mrs. __________.